Musical Assumptions: Red Star Points to the Rescue! Red Star Points to the Rescue! 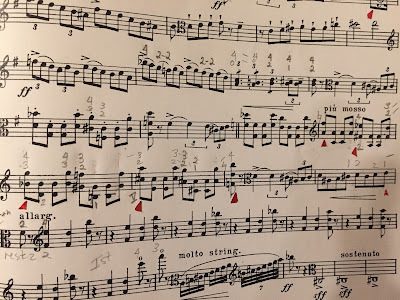 I have been agonizing for months over this passage (and a few others like it) in the Serge Vasilenko Viola Sonata. 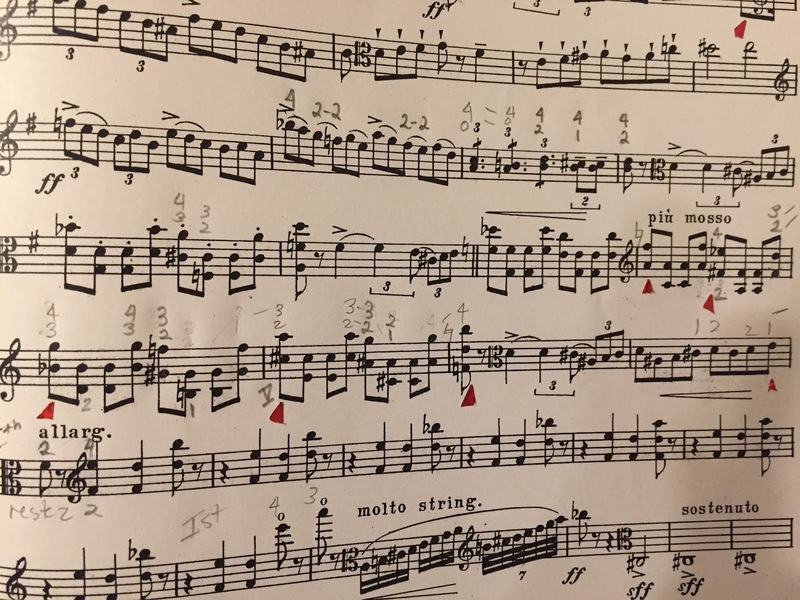 There is a great deal of vertical information to take in (the spread of the notes, and the fingerings written above and below them) so I needed a bright and shiny reminder telling me clearly where to shift position. These points of red star stickers put in strategic places offer me peace of mind, satisfying my need to know exactly "when" something needs to happen. Unlike colored pencil marks, which are dull and permanent, these are temporary, so if I decide to change where I want to shift, I can just take the stickers off.